Founded in Spring 2008, the Lauren E. O’Malley Foundation has a vision to provide educational opportunities to children of the world by removing barriers that prevent access to education. Based in Houston, Texas, we aim to achieve this vision in our own backyard as well as in other nations. Our founder, Lauren, was inspired to create the Foundation after a vacation to Mexico unveiled the needs and suffering of others. 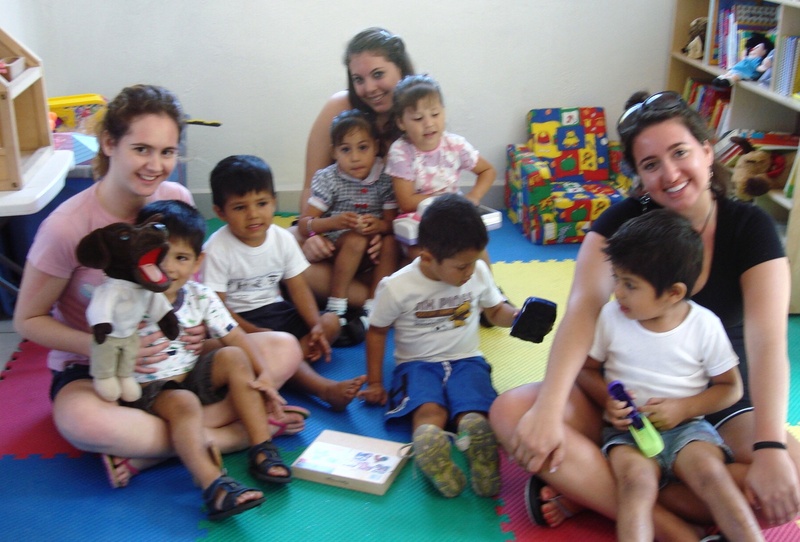 A visit to Refugio Infantil Santa Esperanza (RISE), a children’s shelter in Puerto Vallarta, spurred Lauren into action when she saw the tiny, cluttered, unwelcoming preschool room and realized how disadvantageous was this start to education. Thankful of the education and upbringing full of books and reading she had received, Lauren sought some way to help improve the educational start of these children who were abandoned by their parents. During the brainstorm of ways to fundraise to construct a proper preschool room, the Lauren E O’Malley Foundation was born to facilitate this effort. We fundraised, met with educational experts and began the design and organization of the new preschool room. Cemex, a Mexican cement company, donated the “shell” of the room, and our Foundation completed the shell, providing electricity, roofing, windows, plumbing, and the educational supplies and infrastructure. While a long process, the preschool room was finally completed, and the preschoolers at RISE finally received the spacious, toddler-friendly learning environment that they deserved, thanks to generous donors including dear friends and family. We continued to fund the salary of the preschool teacher from 2008 until 2012, and continue to fund the salary of an employee at RISE. The “Stimulation Room” was designed to promote an educational environment to maximize growth and learning. We also grew and learned from the experience, and remain grateful to all those whose support helped provide the children of RISE better educational opportunities. To get involved with RISE or for information on how to help our efforts there, please contact us! Since our project with RISE, we have funded several mission trips to foster intercultural awareness and assist in educational volunteering. Our current project, the Latina Academic Shooting Star Scholarship Program (LASS), housed at high-school Westchester Academy in Houston, Texas, hopes to remove some financial barriers to young women seeking a college education. In all that we endeavor, we attempt to fulfill our vision, to remove barriers to education and provide educational opportunities to children, and we are always pursuing new ideas and programs. We hope you will be a part of our efforts and help us impact the future through educational ventures.